Our specialized service technicians are hired for their talent and expediency. Whether you require sign washing, scheduled maintenance, or need unexpected repairs our technicians arrive on-site with a fully equipped vehicle to get the job done. 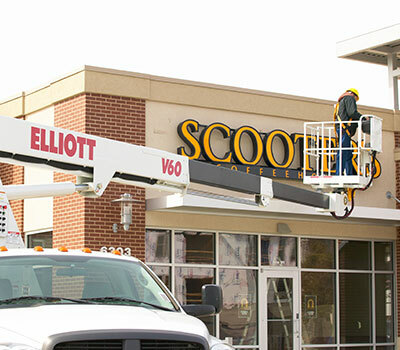 They will diagnose any problems quickly and deliver fast, accurate service to get your sign back in working condition.